February is the month for seed catalogs and placing orders for perennials. Along with the orders for clients and our nursery, I also have a list for home- at the request of my wife pushing me for more cut-able flowers. The specific requests for our house are foliage and flowers in whites, greens and blacks/purples that can be cut throughout the summer for arrangements in the house. We have a very large yard that we could create an area that is designated only for these annuals and few perennials. 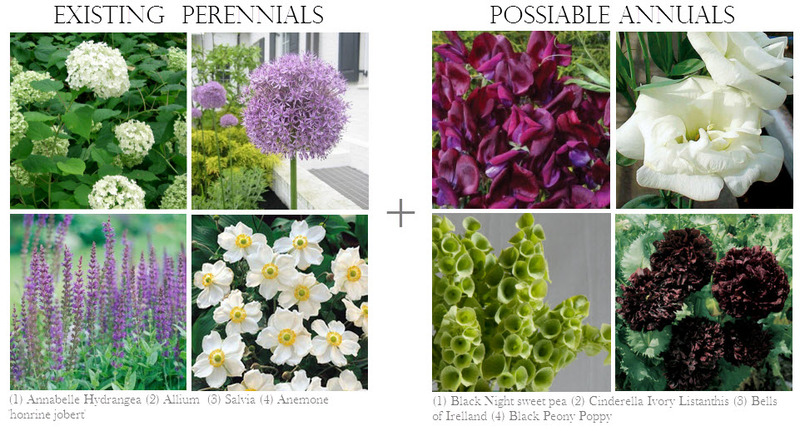 However, from the request list (and my own selection) we are going to add these plants to our pre-existing beds. The main change will be moving some roses, the majority of the plants will just be designed into the correct sun/shade locations already open in the landscape. The task of selecting locations is helped by the fact the foliage and flower colors coordinate the existing palate at our home. Let me know your thoughts…. I think the idea of designing for bringing the flowers and foliage indoors is great to allow your landscape beds to be more than curb appeal. It also allows those without ample space to get both beautiful landscape and flowers for inside. However, flowers that are often used for cutting have less attractive foliage so designing a landscape that is beautiful indoors and out is tricky and takes knowing each plants advantages and disadvantages. Here are break downs of some cutting borders for you to use as inspiration. This entry was posted in annuals, G A R D E N S, gardening by Nick. Bookmark the permalink. 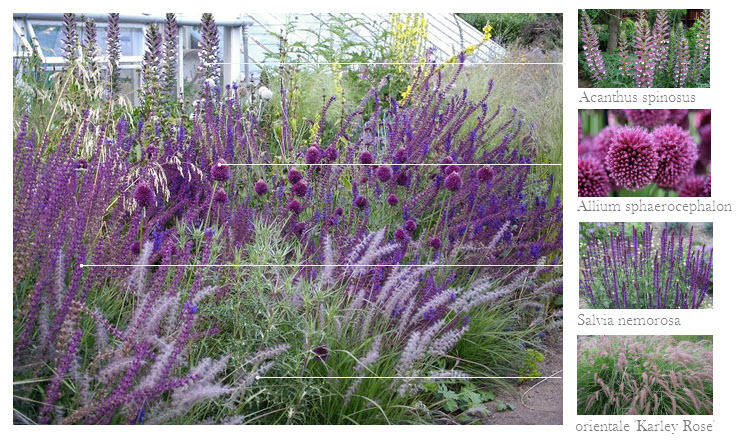 What size of an area would you recommend for this type of planting? We don’t have a huge yard, but I would love to plant these! Thank you. Teresa….less space then you would think. The main thing to consider with a plant combo like this is that these plants like full sun or very little afternoon shade. Honestly, you could really have a great border with as little as 8ft by 20ft. I like to build my border with 3-4 layers of drifts deep…that is why I recommend at least 8ft deep. Thank you for the comments! Love everything about this. This is what I would like to do!! I have all of the Flemish Poppy seeds ready to go and I really want a wild bountiful cutting garden for myself.